WHAT IS THE BASIS UPON WHICH WE RESPOND IN LIFE? Before we get started with this next part, I wanted to make a point with regard to the title of this series, "Living In The Last Days". As believers, how we live in the last days is really no different than how a believer ought to live any other day of his or her life. We are called to live exactly the same during the End Times as during every single, normal day of our life. The only difference being, that we are more aware of the hour in which we live and we are to be watching and waiting for the Lord's return. “And what I say unto you I say unto all, Watch!”(Mark 13:37). 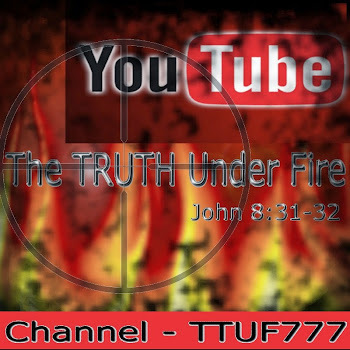 If the Lord’s return is imminent as the Bible states, then the Rapture is about to take place. God’s Word repeatedly exhorts us to, "Watch therefore: for ye know not what hour your Lord doth come.” (Matthew 24:42). Scripture also tells us that we are to be “looking for the blessed hope and glorious appearing of our great God and Savior Jesus Christ” (Titus2:13). As we watch and wait, we are to make sure that we are ready (live continuously in readiness for the Lord’s coming) when He comes, and to be aware that there are still many souls that need to be reached with the Gospel. May the Lord use each of us to reach out to the lost and share with them the blessed hope we have in Jesus Christ. As they say, time is of the essence! Now is the day of salvation...tomorrow may be too late! We are to remain faithful and obedient to God’s Word ALWAYS no matter what difficult things lie ahead. As we walk closely with the Lord in the course of everyday life, we will be enabled by His Spirit to remain faithful during the increasingly turbulent Last Days. 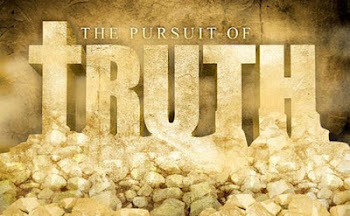 This series teaches us how we ought to be living....especially in the last days! Let's get started! The question we will focus on next is "What is the basis upon which we respond in life?" As we live as God's children and serve Him in this dramatic age, we need to be clear as to what is the basis upon which we react and respond in the changing circumstances of life. If our basis and understanding are vague and uncertain, then it will come as no surprise if we were to respond just like the children of this world and age. It is important, therefore, for us to take note of our basis and even more so, to be able to make decisions upon this basis in reality. The first aspect of this basis is the proper perspective of life in general. The Lord Jesus introduced this principle in Matthew 6:26-34. Notice in particular what the Lord said, "…Look at the birds of the air… Observe how the lilies of the field grow…” As we observe and ponder upon the meaning of the Lord's words, we should be able to recognize the proper perspective we need to take in life. The birds of the air need not sow nor reap and yet God provides food for them. The lilies of the field do not toil nor spin and yet they are so beautifully clothed in all their splendor. When compared to birds of the air and the grass of the fields, surely we are more valuable than them in the eyes of the Lord! And yet, God's children often worry about many of the things of life like food, clothing and the likes, forgetting what should be the right and proper perspective. In the midst of all these anxieties, we forget our priority - that is, to acknowledge that God and His kingdom should be first in our lives. We allow many other things to crowd our minds and our hearts such that we spend our energy and exercise our focus on areas which may be legitimate from a human point of view, but they drain us of what really matters in the eyes of God. Sometimes, in life, we need certain circumstances to jolt us into the right frame of mind and into a situation where we are able to see clearly with the proper perspective. The Gulf War in 1990 reveals many stories of those who escaped from Kuwait with only their personal belongings and their lives, leaving behind homes, luxurious cars and other assets. Almost without exception, all of them shared how grateful they were to be alive despite their many material losses. They were prepared to exchange all these in order to live to see another day. In such circumstances, many realize that life is more important than personal and material assets. Yet, in daily living, under ordinary circumstances, many individuals, including God's children, pursue material success, often at a cost to their own lives, incurring mental stress, ill-health and sacrificing meaningful relationships. The plight of the Kurdish refugees from Iraq reveals tales of suffering and hunger. Countless children died from malnutrition and diseases. Women collected snow for drinking water and many were unsure of the next meal. However, many parents today, including God's people, worry that their children are too thin or underweight or they become rather anxious about their children's academic performance and the fact that other children are doing better in so many other ways. For the Kurdish mother, survival was the matter at hand; all these other factors did not concern her at that point of time. The various examples raised reveal situations in which individuals realized that life itself and relationship are more important than many other pursuits of life. Often, it requires situations like these for us to realize this. As children of God, we know that our lives with God should be the first priority in our lives. The Lord Jesus Himself said, "What does it profit a man to gain the whole world and forfeit his soul?" (Mark 8:36). Yet, in daily outworking, somehow, we lose sight of this priority. Many 'nitty gritties' of life become so very important to us. We worry about many issues of life which lose their significance when we are face to face with death and when we need to give an account of our lives to God. We do not need such circumstances described earlier to help us to have the proper perspective in life. We can learn from the situation of others and from the happenings around us. The Lord Jesus said, "Look at the birds of the air…Observe how the lilies of the field grow…" Let us observe the circumstances and happenings in the world around us; let us ponder over the lives of those we know who have taken the wrong path and priorities in life, and let us learn well. Notice the warning in Luke 17:26-30 for us living in the last days. People in Noah's time and in Lot's time were involved in activities which were legitimate. Eating, drinking, marrying, buying, selling, planting and building are activities which are common in society. However, these people were so engrossed in these activities that they lost the proper perspective in life. They were not ready when judgment came and they did not escape the wrath of God. So it will be too when the Son of Man is revealed. If we immerse ourselves in many of these activities to the detriment of our spiritual health and lives, then we are indeed foolish! We will find ourselves not ready when the Lord Jesus comes again. It will come as a surprise and a shock to us to realize how much we have wandered away from what is really important from God's point of view. If we do maintain the proper perspective of life in general, then certain things should follow. Firstly, there ought to be the spirit of gratefulness as well as the consciousness to count our blessings. Even simple things God gives can be deeply appreciated. Instead of complaining about many things we do not have in life and many areas we cannot achieve, we become more aware of God's goodness in the many things He has bestowed upon us. The Apostle Paul stated that he knew how to get along with humble means, and also how to live in prosperity. This would also become a reality in our lives eventually. Related to this is the spirit of godliness with contentment as written in 1 Timothy 6:6-8. We learn to be contented in God and in what He provides. Such a spirit frees us from discouragement and depression. Instead we begin to learn to enjoy each day with God and to enjoy God Himself in our lives. Various happenings can be looked upon from God's point of view and they no longer need to trouble us. That does not mean we become indifferent and complacent. We still need to strive with God's enabling in our lives and to exercise discipline in the pursuit of godliness. However, there is that freedom of not being affected by many issues in the way that the people of the world are affected. Do we indeed see such a life among God's people today? Is there consistent gratefulness and contentment in a world where so many clamour for more and so many grumble and complain about their state of affairs? We go on now to see another aspect of the basis upon which we should respond in life, and that is the consciousness and awareness of the eternal. As God's people, we should realize this fully in our daily living. The apostle Peter in 2 Peter 3:10-14 made it clear to us what would be the end of the earth we live in. The elements will be destroyed and the earth and its works will be burned up - nothing will remain. He who is wise would not invest his life and energy in that which will not remain. Instead, the faithful child of God is looking for new heavens and a new earth, an eternal inheritance that will not fade away and his life is lived with the focus on eternal issues. We also see this highlighted for us by the apostle Paul in 2 Corinthians 5:1-8. Notice particularly the contrast between the temporal and the eternal. God's children should be fully aware of the eternal home that awaits them and the way they live their lives here on earth should reflect the recognition of the temporal here on earth and the eternal that is to come. "But this I say, brethren, the time is short: it remaineth, that both they that have wives be as though they had none; And they that weep, as though they wept not; and they that rejoice, as though they rejoiced not; and they that buy, as though they possessed not; And they that use this world, as not abusing it: for the fashion of this world passeth away." (1 Corinthians 7:29-31). "The time has been shortened" and "the form of this world is passing away" indicate to us the context of the last days. And in the last days, there should be this form of emphasis, living as it were, with a healthy detachment - being in the world and yet not of the world. Let us look at the various areas closely. "Those who have wives should be as though they had none"- what does Paul mean by this? Was he advocating that husbands should not care for their wives and their marriage? That cannot be the case. In Ephesians 5 for instance, Paul encouraged husbands to love their wives just as Christ also loves the church. Paul was actually indicating to Christians to have a healthy detachment in marriage. There should be love and concern for the spouse in marriage but one should not be so taken up in marriage in a negative sense such that one becomes preoccupied with the affairs of marriage at the expense of faithfulness to God. There is definitely a tendency in marriage for the husband to please the wife and the wife to please the husband to a point that it is very easy to allow this to jeopardize our undistracted devotion to God. In other words, marriage and the affairs of marriage, which include children and family, can cause us to forget our priorities and our relationship with God. This is something very real indeed and we must take note of it. I remember interacting with some Christians who were rather enthusiastic for the Lord in their younger days but subsequently they lost their zeal after marriage and being involved in raising a family. They found themselves so immersed in the affairs of marriage and family that they had no time for God and the things that matter to God. Many of them sought to console themselves that when things become more settled down they would go back to serving God and walking with Him. Yet, almost every one of them did not come back at all! What about "those who weep, as though they did not weep and those who rejoice, as though they did not rejoice"? Is the apostle Paul someone who was against emotion and the display of it? No, it was the same Paul who wept for those who turned away from the Lord and it was the same apostle who rejoiced, even in his sufferings and imprisonment. Emotions are not meant to rule us and to determine the course and actions in our lives. Emotions need to be healthily subjected to God and to proper outworking of the Christian life. Worldly sorrow produces death as contrasted to godly sorrow which leads to repentance (see 2 Corinthians 7:9-10). If we are not careful, we can be so overwhelmed with grief that we cannot carry on properly for God. I remember an elderly Christian sister with such a problem. Her husband passed away rather suddenly and she was clearly overwhelmed with sorrow and grief. This affected her not just for a few weeks but for months and years. Each time she talked about her husband, she would break into tears so much so that her own children could not bear with the situation. Initially, they empathized with her but later on they found it unbearable and they even became angry and upset with her. It was only through much counseling, prayer and medication that she finally got out of the situation. We must not allow worldly sorrow to cripple us to the point that we become a casualty in spiritual warfare. On the other hand, we must also be careful not to be so carried away with worldly joy and be overcome by it that we become careless and frivolous. In such a state, we would be lowering our guard and vigilance and we can certainly be easy targets for the evil one to manipulate. There ought to be a healthy detachment in the realm of emotion, not allowing sorrow or joy to affect us in such a manner that we lose sight of our responsibilities before God. This does not mean that we become emotionless and cold. Instead, we become more wholesome and more able to regulate our emotions in the direction of honoring God and pleasing Him. "Those who buy as though they did not possess and those who use the world as though they did not make full use of it, for the form of this world is passing away" - what did the apostle Paul mean by this statement? Let us remember that whatever it is, be it business, career, education, wealth, status and the possessions in life, it will not last; it is passing away. Let us not get unhealthily involved with them. As children of God, are we easily affected by work situations, examination results, opinion of others and developments that affect our material possessions and wealth? Do all these things grip us in an unhealthy manner to an extent that we are no longer able to concentrate on issues that are eternal and good? Let us learn to cultivate a healthy detachment in all these areas of life. This does not mean that we become irresponsible and unreliable in them. On the contrary, we can be responsible and dependable, yet without being affected in such a way that it hampers us from being truly effective for God. A wholesome, healthy detachment would in fact help us to enjoy true freedom in the Lord in living out our lives here on earth, being able to use the things of the world for God and yet not being controlled and gripped by them. It is in fact living in the temporal realm, with our eyes on the eternal. The consciousness and awareness of the eternal would help us in our response towards sufferings and pain. In Romans 8:17-23 and 2 Corinthians 4:16-18, we see how the apostle Paul looked at the subject of suffering, affliction and pain. He sincerely believed that the sufferings on earth could not be compared to the eternal weight of glory that will belong to those who are faithful. He also saw that the sufferings actually contribute to the preparation for the future if God's people know how to respond. When God's children go through sufferings with the right attitude, their faith is strengthened and their character is molded (see James 1:2-4). Hence, sufferings and afflictions did not bring along discouragement to the apostle Paul. His consciousness of the eternal caused him to see beyond the sufferings and pain to the glory that is to come for those who remain faithful and true to God. How different this is for many of God's children today! In the midst of suffering and pain, very few manage to look beyond the present. More often than not, we get so worked up with what is happening to our lives that we fail to see the relevance of the eternal and the heavenly. Despair, disillusionment and discouragement often set in, and spiritually God's people become defeated and broken in the midst of spiritual warfare. The appreciation of the eternal should also cause us to persevere in our Christian walk and service despite various pressures and difficulties. Let us always remember that our labour and toil is not vain in the Lord (see 1 Corinthians 15:58). We see Paul the apostle himself making a declaration in Acts 20:24 that he did not consider his life of any account as dear to himself, so that he may finish his course and ministry which he received from the Lord. Paul saw the relevance and significance of his ministry in the context of the eternal consequences and he was prepared to sacrifice his own life in order to finish what God had entrusted to him. It is interesting to note that in the context of 1 Corinthians 15, the subject of death was also mentioned. In verses 53-57, Paul shared about what will take place - the perishable must put on the imperishable and the mortal must put on immortality and death would lose its victory and its sting. No longer do God's children need to fear the unknown and the uncertainty in what comes after death. In Christ Jesus, there should be no fear of death; victory is secure and the certainty of the eternal in God is as sure as God is faithful. What is the degree of consciousness of the eternal among God's people today? Do we respond to situations in life with the deep consciousness of the eternal or do we just live for the present with the concern for what we can get out of life for today? The life of victory and perseverance depends a great deal on the answers to these questions. We take a brief look now at the third aspect of the basis upon which we should respond in life. This has to do with a lively fellowship and oneness with God. Oftentimes, God's people respond badly to situations because of the poor quality of this oneness with God in their lives. For such ones, fellowship with God and oneness with Him only border on the external and superficial. This is indeed a very big subject but we would just highlight a few points in the Apostle Paul's life to illustrate how a deep oneness with God can be so helpful in maintaining a healthy response to various and diverse situations of life. In 1 Corinthians 4:3-5, Paul made it clear that what really mattered to him was God's opinion and judgment and not men's opinion or even his own opinion. Paul was confident of his stand before God arising from his deep oneness with God. As such, the judgment of others and the opinion of others regarding his life did not affect him in the way that many others would be affected. In the context of his epistles to the Corinthian Christians, the apostle was more concerned for the purity of the gospel and for the kingdom of God. He was not so much seeking to defend himself per se but to protect and uphold the gospel of the Lord Jesus. How different Paul was from so many others! Many of God's children may outwardly profess concern for God's kingdom but in reality, they are easily affected by the opinion and words of others! It is very important that we honestly evaluate our lives on this count. Let us not allow ourselves to respond to situations and others because of the concern for what others might say. We need to ensure that what matters is how the Lord looks at the situation. In this respect, we see Paul stating an important principle in Acts 24:16. He endeavored always to keep a clear conscience, first of all towards God and then towards men. There is certainly a place not to cause others to misunderstand us unnecessarily; however, when we have done our best to ensure that, then we ought to entrust the situation to the Lord, maintaining a clear conscience before Him and before men in general. If we can do this consistently, then we would appreciate what Paul wrote in Philippians 4:6-7. Paul's deep oneness with the Lord enabled him to experience the wonderful peace of God in his life. So whether it be pain, imprisonment, persecution or misunderstanding, his response was one free from anxiety, with his heart and mind centered on the Lord and the peace of God reigning in his life. It would, of course, take time to cultivate oneness with God in our lives. But we need to pursue it consistently and look to God for His grace. As we serve the Lord in these last days, let us be conscious of our proper perspective in life and of the eternal realm. Let us also nurture oneness with the Lord to the point that we can truly respond wholesomely whatever the circumstances may be.